One of the items that I really like finding is a Green Onion Cheeseball. Now I know it's mostly just cream cheese with sliced green onions, but when it's marked-down, it is cheaper than putting those items together and making it myself. Besides, there are some other flavors and ingredients in there that make it extra yummy. It's still great for dipping and spreading, but mostly I just love it for making quick sauces! I also do a little happy dance whenever I find Gorgonzola Cheese on a markdown. It's my fav. 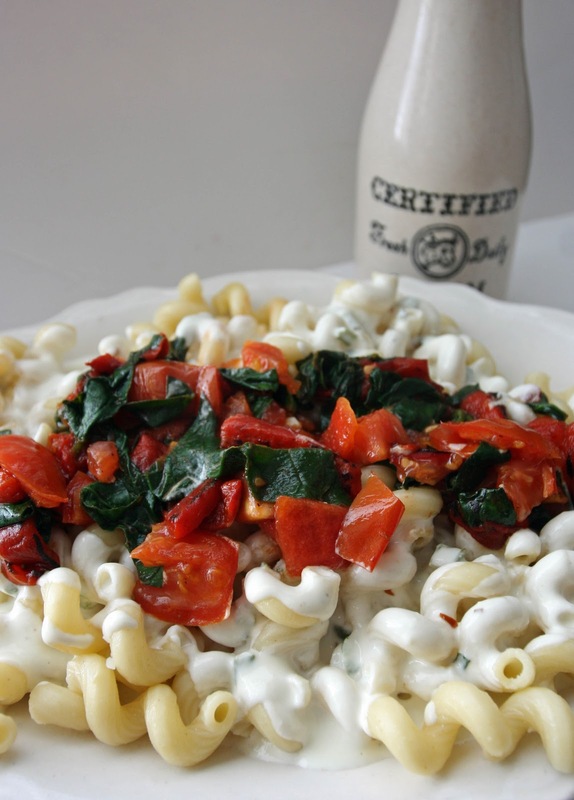 Combine the two along with some really great pasta (Cavatappi...It can get HUGE but not soggy when you cook it for longer), and some yummy veggies, and you have a quick weeknight dinner. You can find my recipe here, and a tutorial for roasting Red Peppers here.